I love this time of year as everyone shares their top book lists of 2018. Although on one hand, I’m anxious to write my own list, I’m also a bit torn. There are still five whole days of 2018 left, and in those five days, I plan to spend a great amount of time reading. Nonetheless, here are my top picks for 2018 (in no particular order). Killers of the Flower Moon opened my eyes to a whole part of our country’s history that I knew nothing about. I thought this book was going to be about the FBI, but really it was about how rich white men stole land, money, and power from the Osage, while others went to great lengths to prevent the truth from surfacing. I appreciated how this book was well-written and engaging while being a true and honest account of the history. Educated was a bit like passing a bad accident on the freeway. On one hand, you’re horrified, but on the other, you can’t help but look. Westover shares her story of growing up as the daughter of a Doomsday-prepper in Idaho. She fights against this and pursues education, which helps her break free from her father’s domineering ways. This book is an interesting insight into how books, family, and opportunities impact our paths in life. The Gifts of Imperfection has changed my life. Brené Brown does a great job of naming so much of what I feel in my quest for perfection. This book is full of great tools and practices for fighting against the need for perfection in favor of living a whole-hearted life. I also have greatly enjoyed this accompanying workbook which pairs the contents of the book with Biblical scripture and thought-provoking questions. The Alice Network was intense, but also really good. Based on a true story, The Alice Network tells the story of Eve Gardiner, a spy during WWII. As the story progresses, Eve must decide what she’s willing to give up of herself to help the war effort. I was so gripped. Another WWII novel based on real events, Lilac Girls tells three intertwining stories, centering on the story of Herta Oberheuser, a nurse who works in Ravensbruk. In Ravensbruk, Herta must wrestle with what to do as the camp’s inmates were given terrible operations and injections by the Nazi physicians. Heartbreaking and insightful into what life was like within that camp. I read Piecing Me Together right before I read the more famous The Hate U Give. Both books tell the story of African American teen girls trying to make sense of their identities. Both girls find themselves torn between cultures and looking for a place to belong. I found Piecing Me Together allowed me to better understand the character and what she was thinking and feeling. This book really helped me develop empathy for those torn between two cultures. I read everything by Kate DiCamillo. She writes for children, but her books give me all the feels every single time. Louisiana’s Way Home was no different. This is Louisiana’s story of belonging and forgiveness as she seeks to find out who she really is. The last sentence of the book will make you stop in your tracks. 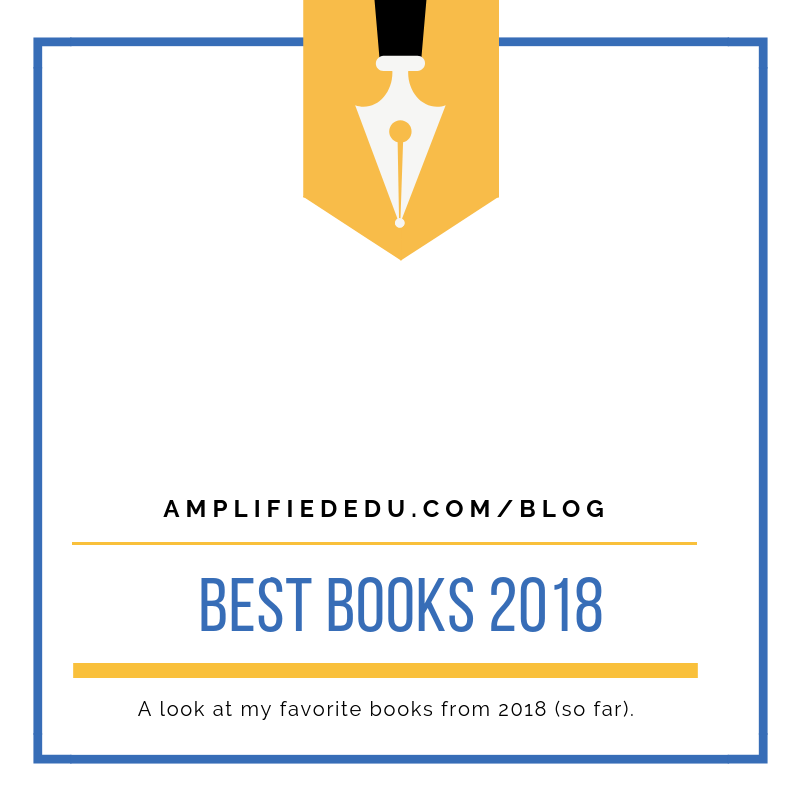 As I look over my book list for 2018, I’m surprised by how much I gravitated to non-fiction this year. I love the new influx of writers who are both educated on their subject areas and masters of the craft of writing. Another shock for me this year is how many books I’ve abandoned partway through this year. Historically, I’ve felt a need to finish every book I start, but this year I gave that up to pursue the stack of books I have in my queue. Well, time to get back to reading. I’m currently captivated by The Great Alone and wondering if it will get a spot on this list before the end of the year. What’s on your best books list for 2018? I’d love to add them to my list for the new year. What was your most life-giving moment today? In October, I started a new practice in my life: recording the most life-giving moment of every day. Every day when I come home from work, I head to my home office and take a moment to ponder the day. What filled me with joy? What made me feel alive? What am I grateful within the day? Holding a blue screen for my students as they make a movie. Creating a standards cheat sheet. Making videos for our fundraising campaign. Teaching Robert Frost’s “Mending Wall.” Building a eLearning course for medical device professionals. Creating logos & graphics. Planning PD. Listening to grandparents share oral histories. More Than A Selfie, our program for mentoring middle school girls on our campus. Each day gives life. Each day brings joy. Each day leaves me grateful. Sure, some days I have to work a little harder to find a thing. Some days are much more life-giving than others. However, each day has something for which to be grateful. Each day has something recorded on a monthly calendar I have on my desk. This practice has also infiltrated our dinner table as my husband and I share our most life-giving moment of that day. This has been such a better question for me than “How was your day?”. This requires something concrete. Something real. Something that says something about who I am. As I look to Thanksgiving tomorrow, I can’t help but be grateful. On a large level, I’m thankful for a home and a table to eat around. The smoke we’ve had in the Bay Area over the last week has been a poignant reminder of this. However, this Thanksgiving, it’s the little things, the day-to-day things, the life-giving things that are making me stop in my tracks and be grateful. This past January I began cycling so that I could spend more quality time with my husband. However, over the last nine months, it has become my hobby as well. In my riding over the last few weeks, I've become more of a believer in the Zone of Proximal Development and its impact on the learning process. This summer I joined a cycling club full of retired men (and a few women) who go for a ride most days of the week, always ensuring the route stops at multiple bathroom and a coffee shop. Although some of these groups pushed me more than I like to admit, I went on a few rides that were painfully slow. I found myself having to work to not pedal, and at one point was driven crazy by a rider who insisted on stopping at every. single. stop sign... even those on deserted residential roads. I found myself bored and impatient. 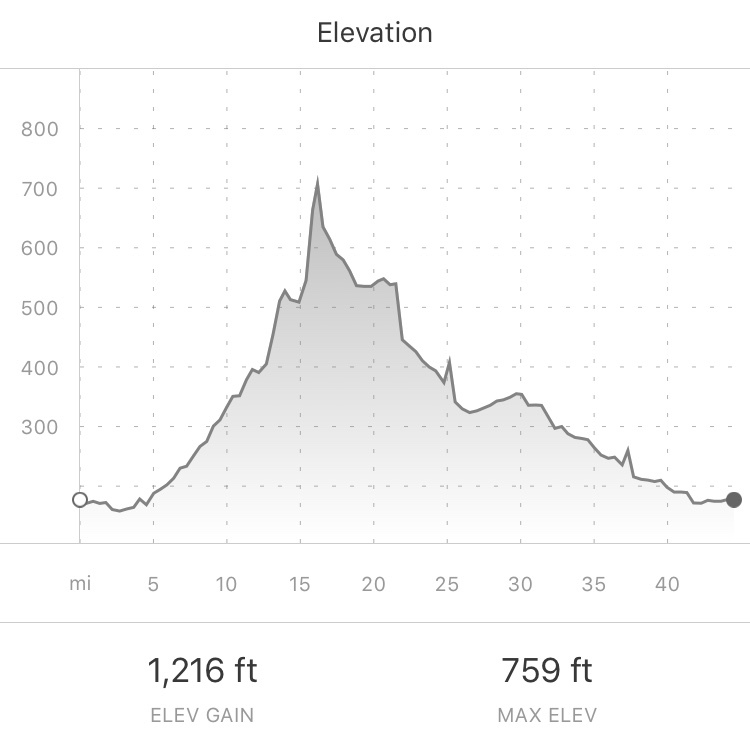 Elevation Gain on Metcalf Rd. - I walked up this hill in tears. I like to think I'm a pretty physically fit person. I have been known to run half marathons. I consistently work out. I've always like athletics. Yet, the moment that I see a hill, my body forgets how to breathe. My husband, on the other hand, is also a mountain biker. Not only do hills not scare him, he thinks they're fun. Sometimes our routes find us on large, never-ending hills, and I shut down. There are tears, and I can't go on. It's just too much. But there's another kind of ride that I love. It has sections of flats, but it also has some awesome rollers. I find myself having to work hard to get up hills, and one or two may even be a few minutes longer than I like. However, despite the challenge, they feel (and look) possible. And afterwards, I'm able to go down and coast a little before powering back up for the next hill. I leave these rides feeling like I've worked out and like I'm awesome because I conquered it. As I was riding my favorite ZPD ride last weekend from San Jose to Morgan Hill, I realized how this is the same for the learners in my classroom. Students sometimes experience those bored-out-of-their-minds classes that are too easy for them. Here they often become irritable. Other times, students are trying to attain what they view is unattainable, like I feel on hills. They're apt to shut down, unable to move on. Our goal as educators then, is to scaffold to get them into that ZPD. Yes, I realize this is precisely what you learned in your credential program, but it's way different when you're the one experiencing it. Sometimes we need to let students set the learning pace. When I'm cycling hills, even in my ZPD, I like to be in the lead. This makes it so I don't have the pressure of keeping up with the person in front of me before I have the skills and the confidence to do so. As a less-experienced learner, it is empowering to set the pace so that you don't feel guilt/shame for not keeping up. Sometimes we need to lead students to the learning. In cycling, following closely behind the person in front of you makes the journey so much easier because the person in front of you is breaking the wind. This is known as drafting. There are many times where I am pulled along by the rider in front of me as they set the pace and break the wind. As educators, we sometimes need to break the wind of outside distractions and model for students pace & setting one foot in front of the other. We need to help students work on metacognition. The previous two points are pretty much in direct opposition. Even as an adult, I need to work to understand which one of these I need in the moment, and I need to work to communicate those needs to those I'm riding with. There is important non-curricular work in teaching students to identify and communicate their needs in the learning process. Going into summer, I was dreading break. Two and a half months without much purpose, structure, or routine. Although I love vacation as much as (if not more than) the next girl, this prolonged vacation (while everyone else works) has the tendency to make me antsy and not very nice. After a particularly restless summer in 2017, I wanted to be more proactive. And I’m happy to say, that although I wouldn’t necessarily characterize the last two months as “restful,” they have been invigorating and interesting and enjoyable. This summer was all about new learning arenas for me. My brain, my heart, and my body, have been energized by the learning process. All conferences should be paired with hiking. Earlier this month, I had the privilege of attending the Educational Leadership Development Institute (ELDI) sponsored by my school’s accreditation organization. For 4+ days, I spent time exploring the many aspects of administration with other teacher-leaders throughout the U.S. & Canada. I loved learning about board governance and staffing and telling our schools' stories. Since then, my brain has been swirling with ideas and questions and passion for leadership. This summer I’ve had the opportunity to do some instructional design work for Cumby Consulting, a medical device training company. I’ve loved learning about how education is working in a completely different industry. In the process, I’ve been able to learn new content, new tools, and new strategies for facilitating eLearning and in-person learning. It’s been so fun to watch this curriculum come to life. In January, I started cycling with my husband on the weekends. This summer I took it to the next level by joining the Almaden Cycle Tour Club. Once or twice a week I found myself with a bunch of retired guys (and the occasional woman), exploring San Jose on bike. I conquered hills I didn’t know I was capable of, forced myself out of my introverted bubble, and even learned to use clip-in pedals. With August on the horizon, I’m thankful for this summer and the opportunity to learn and explore new things. I’m looking forward to continue to explore these things in the months and years to come, but I’m also looking forward to getting back in the classroom with students, where we’ll learn and grow together. I lost 20 pounds between August 1 and February 1 this year. Without a diet. Without a gym membership. Without a pyramid scheme. And it's been fun. It's made me happier. It's deepened my relationships. Although it started as a plan to get healthy and fit, it has become so much more than that to me. Now, it's about having a balance between my job and the rest of my life and being intentional in both. The time I spend running is the time in my life where I feel accountable to no one. For 30-90 minutes, I'm able to shut off my brain and its struggle for perfection and just be. This summer we moved a half-mile from a county park with mountains on three sides; the trail within it reminds me to focus on the beauty around me. This August I started putting time on my calendar to run three to four days a week. This appointment forces me to leave school and come home and run. This time, it turns out, is way more restful for me than shopping or Twittering or cleaning my house. When I first started teaching I ate pasta with marinara almost every night because it was cheap and easy, and I liked it. My love of food and cooking has greatly increased over the past seven years, and I've learned to eat much more nutritious food. And is it turns out, when you do so, you actually need to eat a lot less of it. When we decided to get healthy back in August we counted calories for about two weeks. In that time, we discovered that most Americans eat at least twice as much food for every meal as they should, and even more when going out. Therefore, I started being even more intentional with my meal planning. I switched to a half sandwich (with lots of avocado... yum) instead of a whole. We started sharing a chicken breast instead of having our own. When going out, we always split. And we use a lot of good ingredients. I swear by my produce box, cookbook for two, and I'm now a huge fan of Epicurious after trying their #cook90. And all of that doesn't even mention all of the joy and depth of relationships in gathering around the table together each night. I've almost completely given up working on the weekends in favor of adventuring. Living in San Jose makes this pretty easy. We have an amazing county park system and bike routes galore. Oh, and it's 75 degrees and sunny in the middle of February. Last January we started hiking with the Santa Clara County #pixinparks challenge, and it's now just become a part of who we are. On Saturday and Sunday we generally spend three hours outside together hiking or biking and chatting. We've found adventurous friends who love doing these things with us, and it fills my quality time bucket so much (not to mention the endorphins and vitamin D). Getting outside and away from our devices and work has been so freeing and life-giving as individuals and in community. Our focus is no longer on weight loss or "getting healthy." This has become who we are, and it's so fun and life-giving. Although I love working hard at my job, the balance and pursuit of life-giving activities has made me a healthier and happier person. I don't think I'll ever go back. 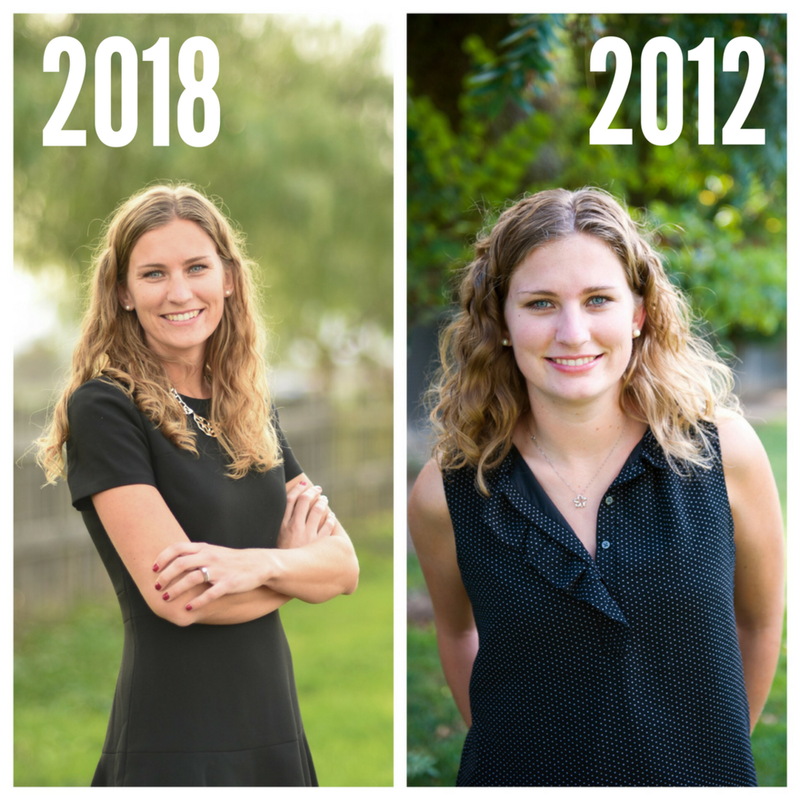 My name is Rachel Medeiros, and I create custom-built training programs. Follow along and begin amplifying your message today!